Playing as Luke Skywalker, you can fight with a blaster pistol or a lightsaber. You can also board a snowspeeder during the Battle of Hoth. As Luke learns about the Force, he develops multiple Force Powers to help during the misson. The NES version was released in 1992, the same year as JVC's Super Star Wars for the Super Nintendo Entertainment System. 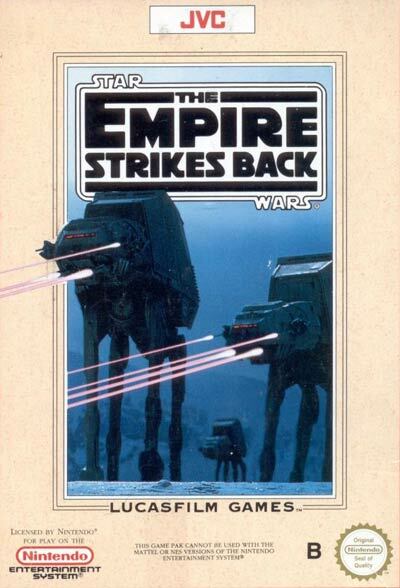 As Empire was released towards the end of the NES's lifecycle, a corresponding sequel to the film Return of the Jedi was never developed or released.